Over the course of this series of articles, Debbie and Mark at Step Change Design Ltd. have shared the findings from their self-funded research project and the journey they embarked on to find out why care setting gardens were not more actively used. In this article, they describe why it is important for care settings to move forward along the care culture spectrum they identified. We described in an earlier article how our research project identified the key role of care culture in influencing engagement levels with the outside space and how this presented us with some uncomfortable insights about our roles as designers. Our direct experiences and observations during the research started to challenge some of the design guidance, processes and practices we had taken for granted and accepted at face value about the way we should design for care settings, and for people living with dementia, in particular. In short, we were on a journey to understand our designer ‘culture’, too. Fortunately, we were on this powerful and transformative journey together and debriefed thoroughly after each site visit, sharing our concerns, insights and reflections on the subconscious beliefs and ‘scripts’ we had held about what a designer should and should not be doing in care settings. These experiences resulted in our joining up earlier skills sets in project management, training and leading teams, to really understand the complex and subtle practices that were at play in these care settings and that ultimately lay at the root of the answer to our original question. For a care home manager who wants to use their outside space more actively, a key priority must be to be prepared to undergo a similar journey: to take a deeper look at the subtle and often subconscious processes, habits and beliefs that are at work in your care setting and that make up your setting’s particular care ‘culture’. Not only could these be holding you and your teams back from engaging more actively with your outside spaces with your residents, but it is through a review of your care culture that you can also gauge how person-centred you are and what you need to address in order to move forward on your culture change journey. Why is it so important to focus on care culture and addressing subconscious practices and beliefs? Firstly, because our key finding shows that higher performing care settings are already using their outside spaces more actively, with or without design input or horticultural skills. Person-centred and relationship-centred care cultures are characterised by a clear desire to identify and meet the needs of their residents, many of whom like to actively engage with the outside space. These care cultures see the residents as individuals, with differing needs, preferences and daily routines. They demonstrate an active and on-going interest and curiosity in them. This means that they know those residents who like to go outside and act on this need, and natural desire, and enable engagement as and when they wish. This led us to another insight: fearful attitudes to Health and Safety practices can effectively ‘cap’ engagement levels for residents with their outside spaces so these fears, ‘taboos’ and misunderstandings need to be addressed if the care setting is to be able to activate their outside spaces and progress along the care culture spectrum. Our Care Culture Map tool includes a column devoted to the Health and Safety attitudes and practices we observed during our research. These are sequentially arranged along a care culture spectrum indicating the range of increasingly mature and progressive attitudes towards Health and Safety that we observed across the care settings in our study. This column can help the care setting to work out where it currently lies on this spectrum. We noticed that care settings that we placed further down this spectrum (practising more ‘task-oriented’ care) tended not to be as curious about their residents and were more fearful of challenging restrictive Health and Safety practices. For many of these homes, the outside space was perceived as a dangerous and risky place and consequently, in the absence of knowledge about the residents likes and dislikes or abilities in the outside space, and a correct application of Health and Safety guidance, there appeared to be little encouragement to use the outside space. Higher-performing care cultures were using their deeper knowledge and on-going curiosity of their residents to enable them to balance perceived or actual risk with the positive benefits that they knew the residents would gain from doing the activity or in simply being outdoors. 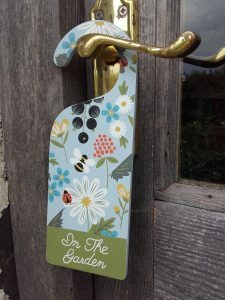 These settings were, in effect, risk assessing their residents’ abilities to engage with the outdoors and the features in the garden rather than risk assessing the features and objects themselves. There are many reasons to commit to culture change and to become more person-centred (not least because the CQC demands it). The dividend of practising at this higher level appears to us to result in happier residents who are more fulfilled and contented in their lives, naturally engaging with the outdoors, as and when they wish to, in an enabling and loving home environment. We have heard a lot of excuses about why care setting gardens are not being used more actively, including not having enough money, time or staff. The homes performing at the top of the spectrum within our research appeared to us to have the least of these resources and still managed to create seamless and spontaneous engagement for the residents between the indoors and outdoors. The difference between these higher-performing homes and others in the research study was quite simple: they had worked out that they could not afford not to. It did not require more money, time or staff to open the doors and cross the threshold. It needed a change in culture: focusing on the needs of the individual resident, and replacing fear, from lack of knowledge, with confidence that they knew what their residents wanted to do and were determined to ensure they could fulfil those wishes, in a ‘safely imaginative’ way with them. For more information about Debbie and Mark’s work, please visit their website.